The Discovery Sport (shown) will go on sale early next year, replacing the Freelander in Europe and LR2 in the U.S.
LONDON -- The Land Rover Discovery Sport will be the first model Jaguar Land Rover produces at its new plant in Brazil, the automaker said. Output of the premium SUV will begin in 2016 at the 750 million real (239 million euro) factory, which will have an annual capacity of 24,000. JLR said on Wednesday that construction would start before the end of the year on the plant, which is in Itatiaia in the state of Rio de Janeiro. The British company, owned by India’s Tata Motors, aims to boost global sales to 750,000 Jaguars and Land Rovers by 2020 from 425,006 last year. Earlier this month JLR began building the Range Rover Evoque compact SUV at its new joint-venture plant with Chery Automobile in China. The Discovery Sport will be added at the China factory at a later date, Automotive News Europe has learned. The plant has a capacity of 130,000 vehicles. 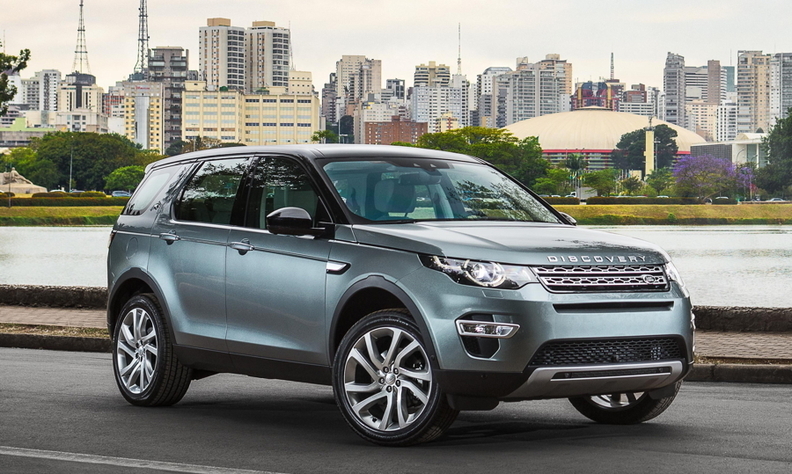 Brazil production likely will start from kits imported from the UK, Richard Else, plant director of Land Rover’s factory in Halewood, northwest England, told Automotive News Europe this month. JLR recently started output of the Discovery Sport in Halewood. The new SUV will replace the Freelander, but Halewood will continue to build kit versions of the Freelander for JLR’s plant in Pune, India, until the end of the year, Else said. The Discovery Sport will go on sale early next year in Europe and U.S., where it will replace the LR2. JLR will add output of more vehicles in Brazil later, a spokesperson told Automotive News Europe, without naming models or providing timings. JLR has sold 7,346 cars in Brazil so far this year, led by the Range Rover Evoque. The automaker plans to increase the number of dealerships in Brazil to 42 by March 2015, the company said in a statement, up from 18 in 2013. “Customers in Brazil [are] showing an increasing appetite for highly capable premium products,” group marketing director Phil Popham said in the statement. Brazil has been aggressive in attracting automakers via the Inovar Auto system that rewards companies with a manufacturing base in the country and penalizes those that import. Next year Audi will restart production in the country, first with the A3 compact sedan and later with the Q3 compact SUV. Both will be built at parent Volkswagen Group’s plant in Curitiba in the state of Parana. BMW started production this month in Brazil with output of the 3 series at its factory in Araquari, in the state of Santa Catarina. Over the course of the next few years, more than 200 million euros will be invested in the plant, resulting in a production capacity of more than 30,000 vehicles a year, the automaker said in a statement.